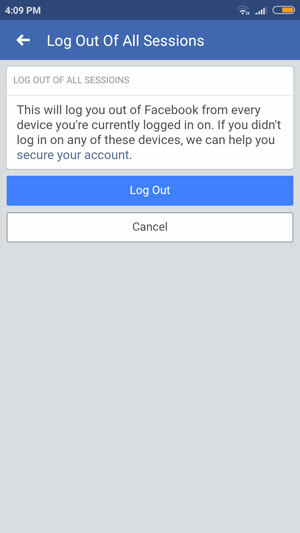 In light of the recent security breach that affected more than 50 million Facebook accounts, a local IT expert has urged Facebook users to change their passwords immediately. 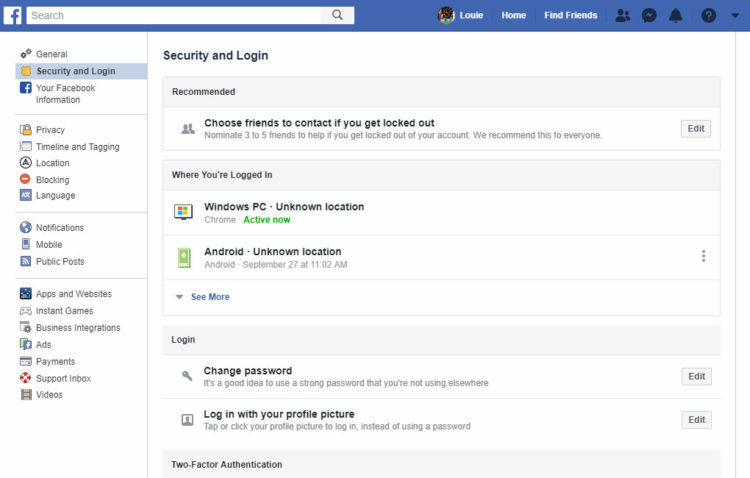 He also advised the public to change the passwords of third-party applications connected to their Facebook accounts. 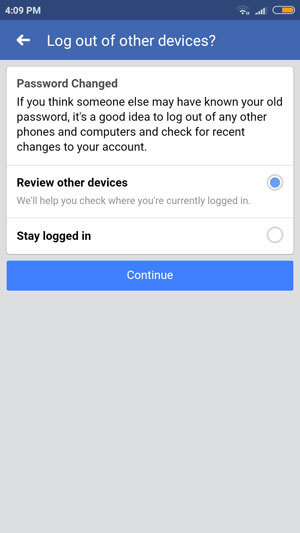 Mr. Jerry Liao said that even if Facebook has assured its users that it has patched the vulnerability and that no passwords were stolen, still it’s better to change their passwords as a security precaution. He recommends creating different passwords for each social social media account to lessen the chances of getting hacked. “Ang isang pinapayo is you change your password, palitan mo. 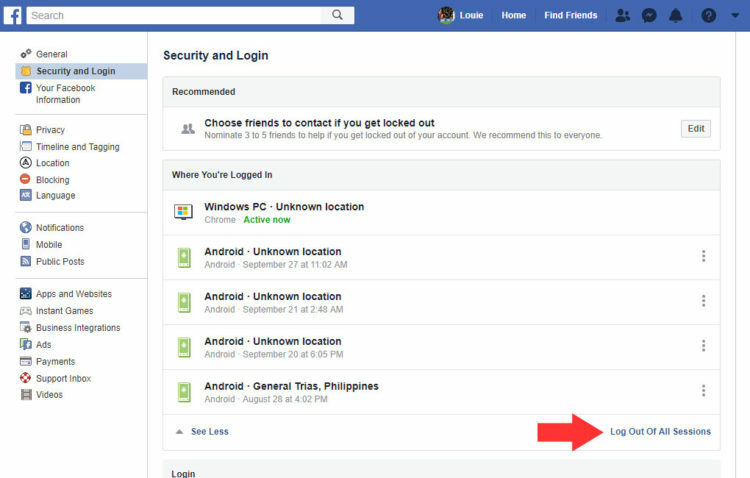 Although nakakapasok ka ngayon using your old password, but just to be sure, palitan mo ‘yung password mo para sigurado (My advise is to change your password. 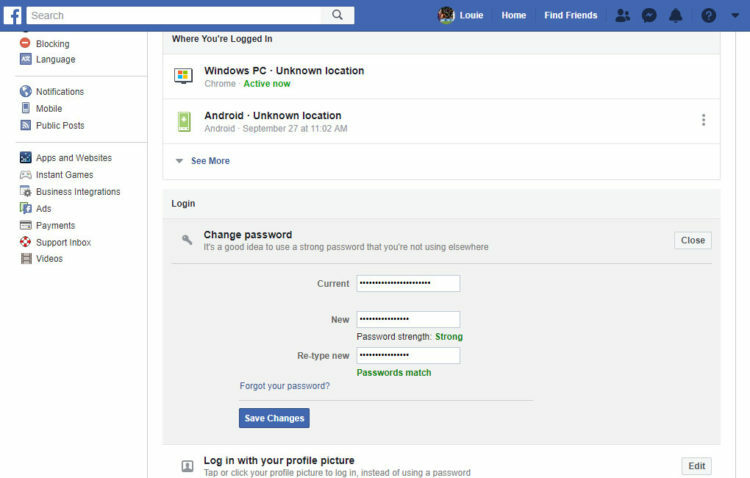 Although you were able to log in using your old password, just to be sure, you need to change your password to be safe),” said Liao. 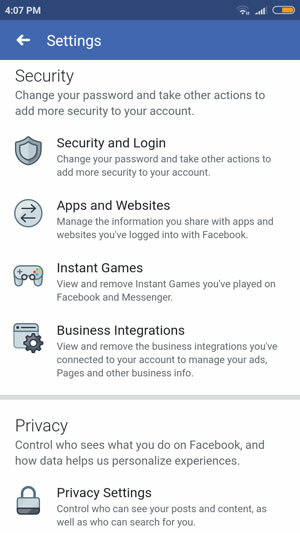 Liao added that if a Facebook account is compromised, there’s a possibility that hackers will also be able to access third-party applications that are linked to the account, such as Instagram and Spotify. Changing your Facebook password is fairly easy. In this short tutorial, we will guide you on how to change your Facebook password and to log out of all sessions, so that your Facebook account is secured. 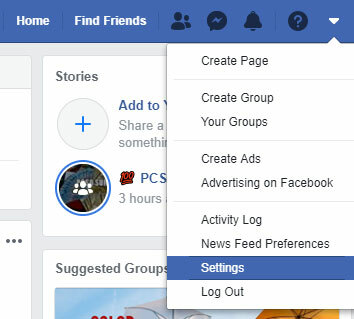 Step 1: Click Settings or open https://www.facebook.com/settings. Step 2: Click Security and Login on the top-left portion of the screen. Step 3: Click Change Password. 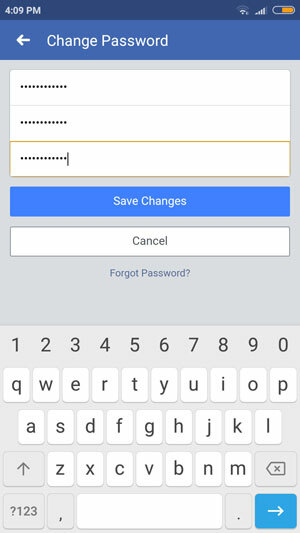 Enter your current password and your new password. It will notify you if your new password is weak or strong. It will also tell you if the passwords don’t match. Step 4: A message will pop up. Select Review other devices and click Continue. Step 5: Click Log Out Of All Sessions as indicated by the red arrow below. Step 6: Click Log Out. Step 1: Tap the menu on the top-right portion of the screen. 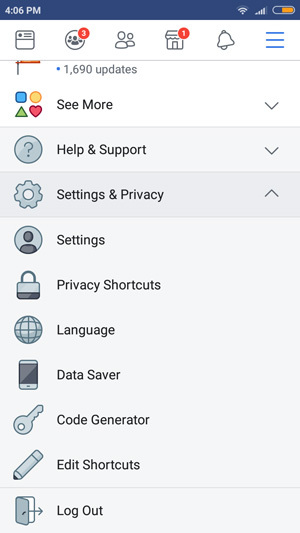 Tap Settings & Privacy, and then tap Settings. 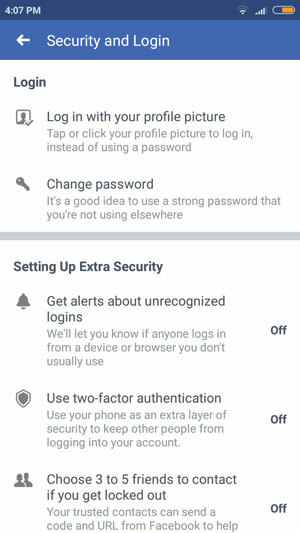 Step 2: Under Security, tap Security and Login. Step 3: Tap Change Password. Step 4: Enter your current password and your new password (repeated twice). Tap Save Changes. Step 5: Select Review other devices and tap Continue. 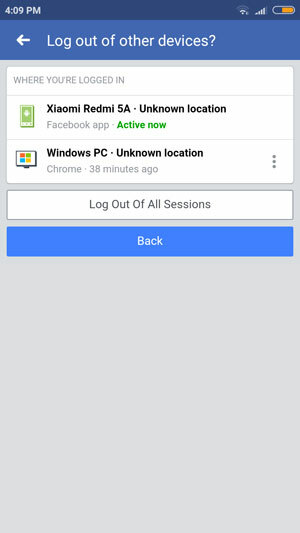 Step 6: Tap Log Out Of All Sessions. Step 7: Tap Log Out. 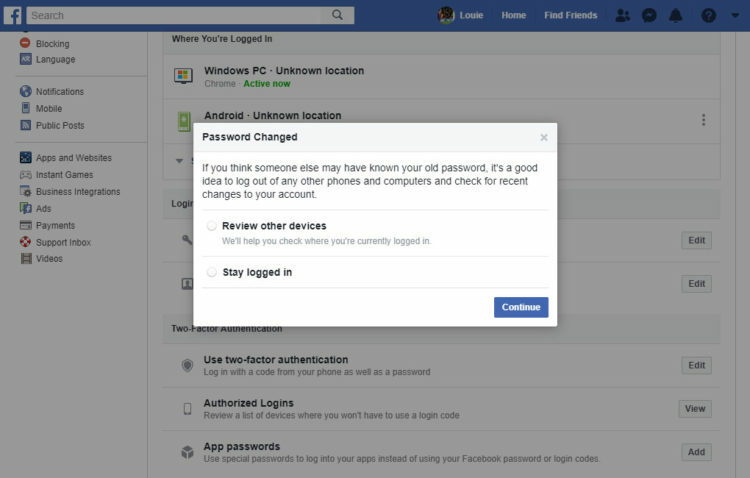 After changing your password, you will receive an email informing you of the password change. 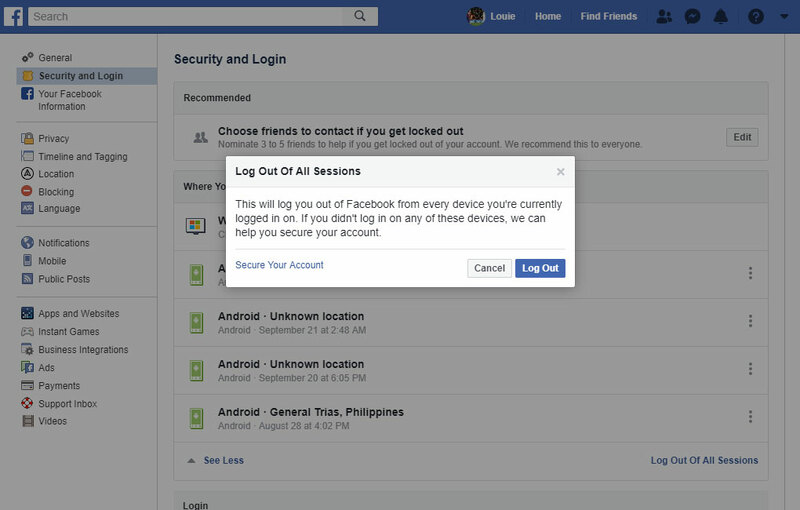 As a final security measure, log out of your Facebook account and log back in using your new password.